A little smaller than blackbird. Male has a clear black bib, and prominent whitish underparts. 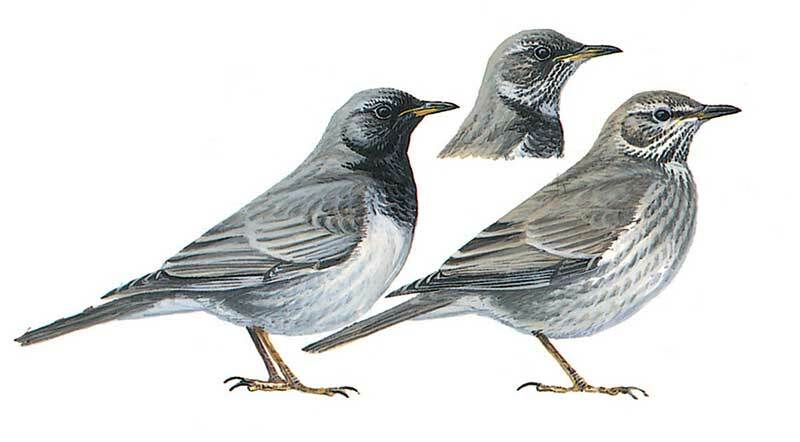 Female has white throat streaked blackish, but lower border of black breast clear-cut, with upperparts browner. It is a shy bird with fast straight flight.